Grossmont-Cuyamaca Community College District Governing Board, while Elena Adams joined the board that leads the two-college East County college district. Garrett, retired El Cajon city manager who has served on the Governing Board since 2004, was reelected this year without opposition. 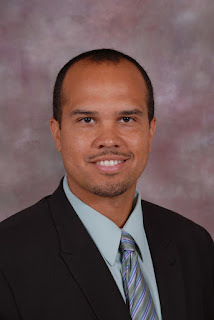 Adams, an East County resident and lifelong educator currently employed at San Diego Continuing Education, was elected to fill the vacancy created when board member Mary Kay Rosinski decided not to run for re-election. More than 400 middle and high school students from throughout San Diego and Riverside counties will converge at Grossmont College Dec. 15 and 16 to compete in a series of simulated congressional hearings testing how well they know the Constitution. Eleven middle and high schools are taking part in the innovative educational program titled We the People… The Citizen and the Constitution, which is now in its 29th year. The program is sponsored by the Center for Civic Education, Grossmont College, and the Cuyamaca College Constitution Education Committee. The Elks Lodge of El Cajon provides major funding for the event. The competition gets under way at 9 a.m. both days, with an awards ceremony to follow at 12:30 p.m. Events will take place in the 500 building, just north of Griffin Center, at Grossmont College, 8800 Grossmont College Drive, El Cajon, 92920. Levi Wilson gives a drone demo. Grossmont College is moving forward with developing a program in drone technology, due to a large turnout at Grossmont College’s recent workshop on careers in drone technology, along with the announcement of a $6 million federal workforce development grant that Grossmont and Cuyamaca colleges were just awarded. 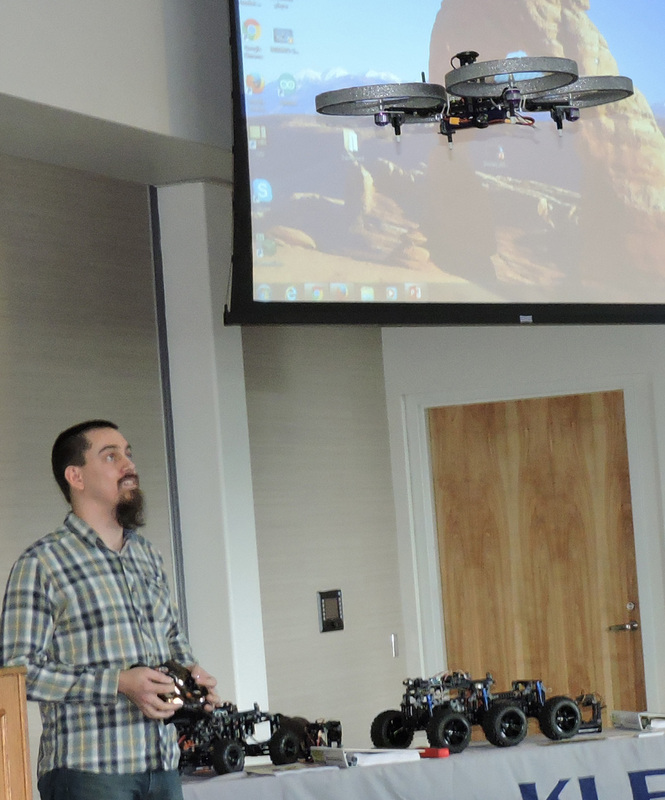 “Clearly, the interest is there and with the funding to support developing education and training to support rapidly growing business applications, we have an obligation to the public to build a drone technology program,” college president Nabil Abu-Ghazaleh said following a two-hour workshop last week that drew more than 60 attendees, including those from Los Angeles County. Once stuck in a steady stream of dead-end, minimum-wage jobs, Janet Leak-Garcia now has a Ph.D., works in the nation’s capital and has contributed to agricultural trade agreements with South Korea. She once organized an international food safety training program in Thailand for a group of Pacific Rim nations. And she is at the forefront of scientific efforts to protect millions of acres under the jurisdiction of the U.S. Forest Service. None of it would have happened without Cuyamaca College. “Cuyamaca College changed my life,” Leak-Garcia said. Her life includes a hardscrabble childhood that took her from Idaho to California to Arizona and back to California. Her past includes emancipation at age 16, living in a ramshackle converted garage, and finding herself as a single mother raising a daughter while barely making ends meet. She was, she said, the latest link in a long line of generations failing to overcome the challenges facing them. Biology Professor and friend Kathryn Nette said Leak-Garcia’s story serves as an inspiration to countless others. Ask her to describe Cuyamaca College in a single word, and Ariane Ahmadian doesn’t hesitate: Community. 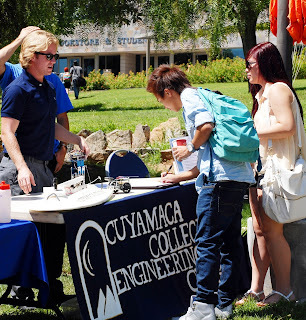 “Cuyamaca is all about community,” said the assistant senior in the Admissions and Records Office who also serves as president of the college’s Classified Senate. Ariane, 30, was herself a student at the college. She first enrolled following her graduation from West Hills High School in 2004. She took classes at both Grossmont and Cuyamaca colleges off and on over the next several years, and she landed a job as a student hourly worker in the Admissions and Records Office in 2009. Ariane was promoted to an assistant senior in 2013, the same year she earned her associate of arts degree. 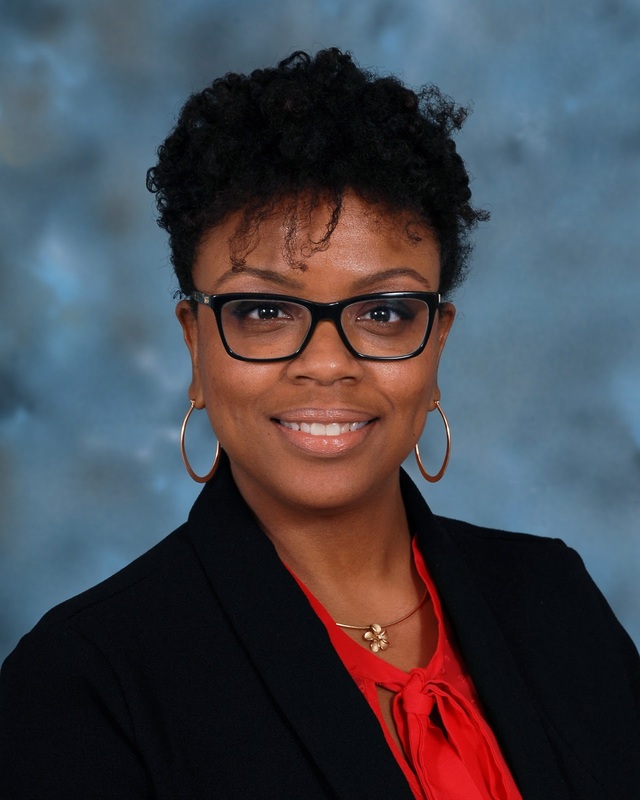 She started her bachelor’s degree program in organizational management at Cuyamaca in January through a college partnership with Point Loma Nazarene University. As an assistant senior, Ariane oversees the processing of all records, from residency verifications to official transcripts. She also coordinates the high school dual enrollment program, processing all paperwork needed for high school students to enroll. 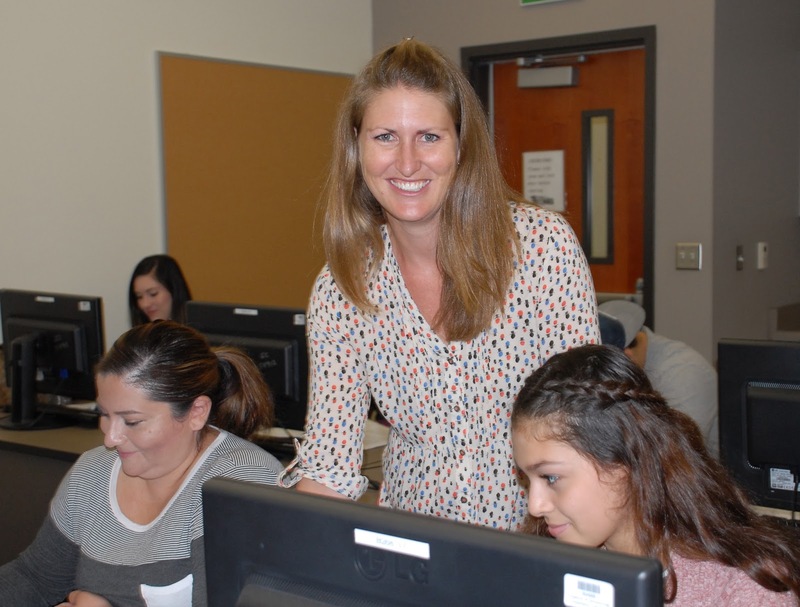 “We have close to 1,000 students this fall in our dual enrollment program, a number that has definitely been steadily growing the past few years thanks to the efforts of the East County Education Alliance and our incredible student outreach department,” she said. From anthropology to water technology, East County’s community colleges offer a full spectrum of classes for almost 30,000 students working toward a degree or interested in improving their skills and knowledge. Open enrollment begins Dec. 6 for the new semester beginning Jan. 30. The cost of the courses is $46 per unit, with most classes offering three units of college credit. 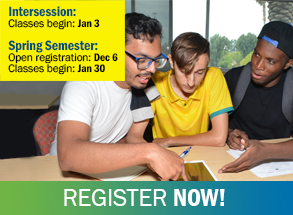 Online registration for regular semester classes ends Jan. 29. The two colleges are offering more than 2,600 class sections this spring, up more than 10 percent from a year ago. 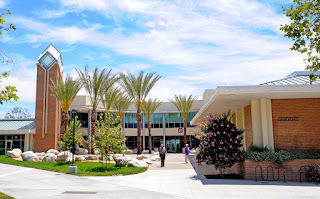 Both campuses offer a variety of traditional, online and hybrid classes, and Grossmont College will be offering Saturday classes to provide more scheduling options for students. 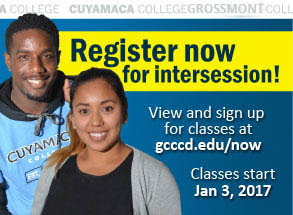 Registration is now open for spring intersession classes at Grossmont and Cuyamaca colleges. Students attend classes Jan. 3-28 and can complete a course, including those satisfying general education requirements, in just four weeks. The deadline for registering is Jan. 6. The cost of the courses is the same $46 per unit that applies for regular-session classes, with most classes meeting daily for 2.5 hours and earning students three units. Sometimes, it’s the everyday problems that complicate the lives of the elderly and physically challenged. Like the simple act of pulling up a pair of slacks when dressing. 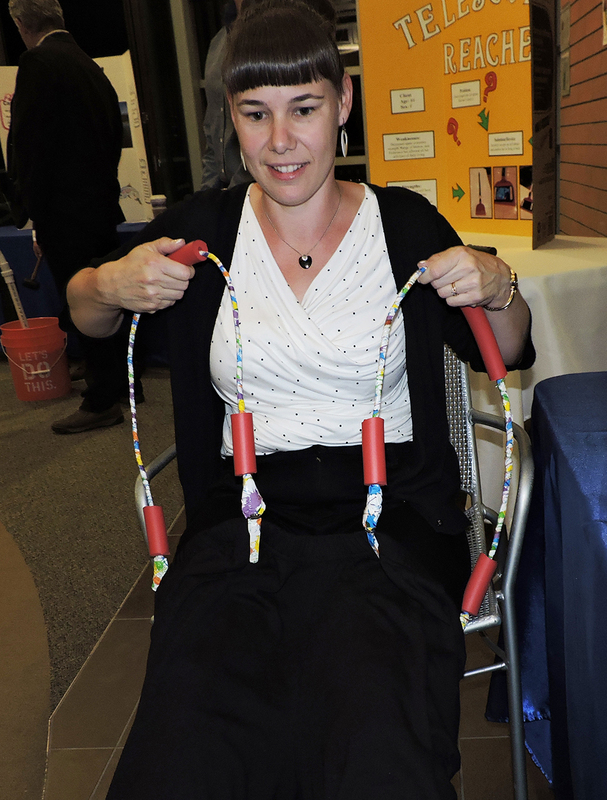 Students in a Grossmont College Occupational Therapy Assistant (OTA) class have become inventors, creating homemade adaptive devices, including Paula McVeagh’s “Pants Puller-Upper,” to help make life a little easier for friends and family members with physical impairments. 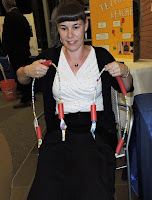 The 23 students in instructor Darlene Cook’s assistive technology course demonstrated their projects during the OTA program’s Ninth Annual Assistive Technology Show Thursday night that drew a steady stream of visitors, including professionals in occupational therapy and rehab, as well as fieldwork educators, and the families and friends of the students. Engineering is one of the programs likely to benefit. Grossmont and Cuyamaca colleges are partnering with industry leaders and others in creating an ambitious workforce development program in San Diego County and the Inland Empire to educate and train people from underserved populations at no cost for high-skilled, in-demand jobs, thanks to a new $6 million federal Department of Labor grant. 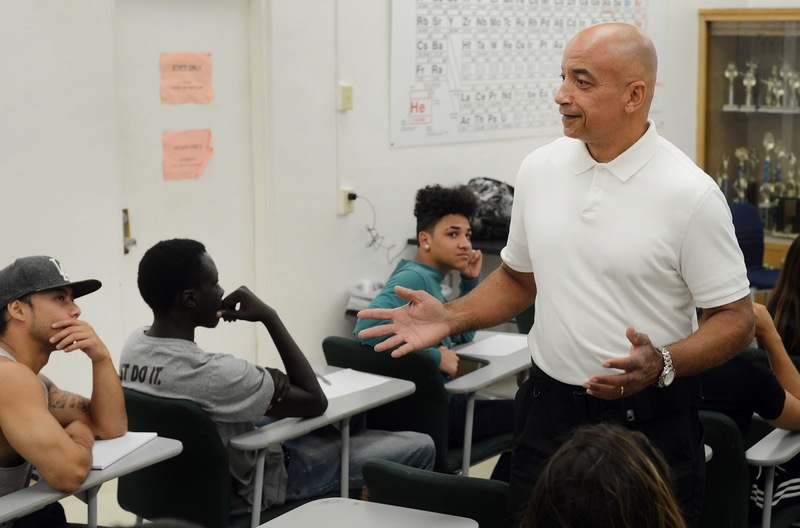 “This grant will help us transform what we do as community colleges by creating high-wage, high-demand opportunities that target underserved populations,” said Javier Ayala, dean of Career and Technical Education and Workforce Development at Grossmont College. 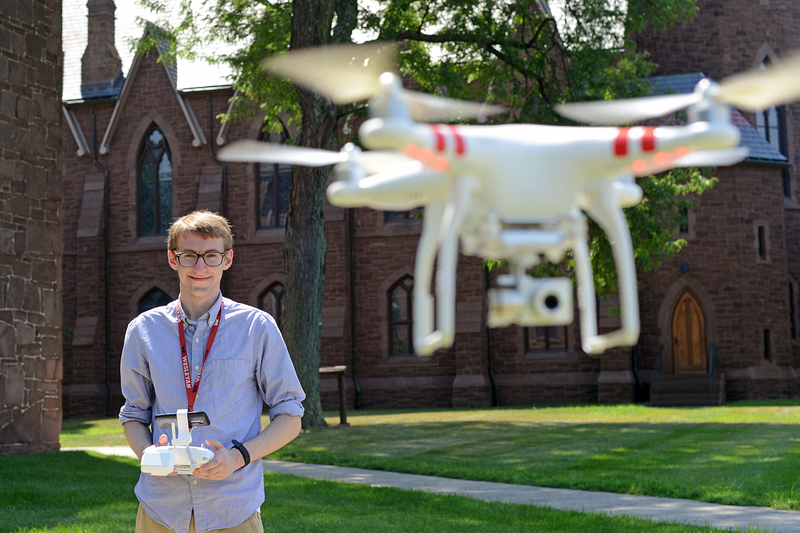 From package deliveries and aerial photographs to defense applications, the use of drones is expanding, opening up new careers in the technology behind the unmanned aircraft. Grossmont College wants to become the first community college in Southern California to develop a program in drone technology and is testing the waters with a workshop, “Regional Careers in Unmanned Aircraft Systems (UAS),” noon-2 p.m. Monday, Nov. 28, in Griffin Gate in Building 60. Zachary Bunshaft: From Grossmont College to Washington, D.C.
It’s been a busy year for Grossmont College graduate Zachary Bunshaft. He was elected president of SDSU College Democrats. He helped organize a May 6 congressional town hall that included Representatives Scott Peters and Juan Vargas. 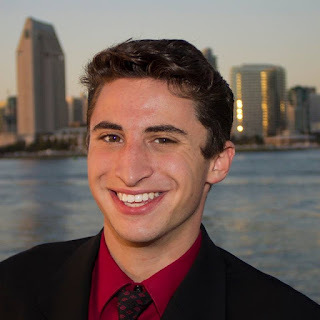 And he was selected as the California Young Democrats Jewish Caucus Vice President and California Young Democrats Deputy South State Regional Director. Now he’s in Washington, D.C., working as a staff assistant and legislative correspondent for Rep. Susan Davis just months after earning his bachelor’s degree. Grossmont College played a key role in his journey. 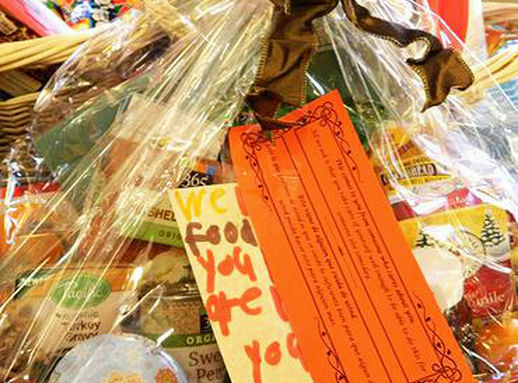 The Basket Brigade of San Diego, a local non-profit group that provides Thanksgiving Day food baskets to families in need, is partnering this year with Grossmont College to recruit volunteers and donors to bring a holiday meal to hundreds, including students at the community college and their loved ones. Gerardette Nutt, a CalWORKs program specialist at Grossmont College, said a student worker in her office got involved last year with the Basket Brigade and proposed a college partnership to bring turkey and all the fixings to more of the program’s students and their families. Some 700 students annually receive educational support and resources through the program that serves students receiving welfare. Meet Jennifer Padilla, a former student at both Grossmont and Cuyamaca colleges who has been recognized as one of Balboa Park’s rising stars. Padilla, who serves as director of visitor services at the Natural History Museum, was honored with the Betty Peabody Emerging Young Leader of Balboa Park Award during the Friends of Balboa Park Annual Awards Luncheon on Oct. 18. The award recognizes exceptional promise and potential of emerging professionals who have demonstrated leadership by example in San Diego’s most famous greenbelt. “It’s a great honor,” said Padilla. A native of Orange County who grew up in Temecula, Padilla attended San Diego State University right after earning her high school diploma. It wasn’t cheap. 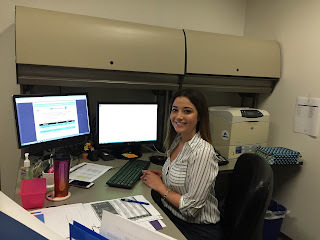 Working full-time to make ends meet, Padilla took several general education courses at Grossmont and Cuyamaca over the summers to keep her tuition in check. “We stand in the midst of patriots,” she said. Adrian Tolbert has found a home at Grossmont College. 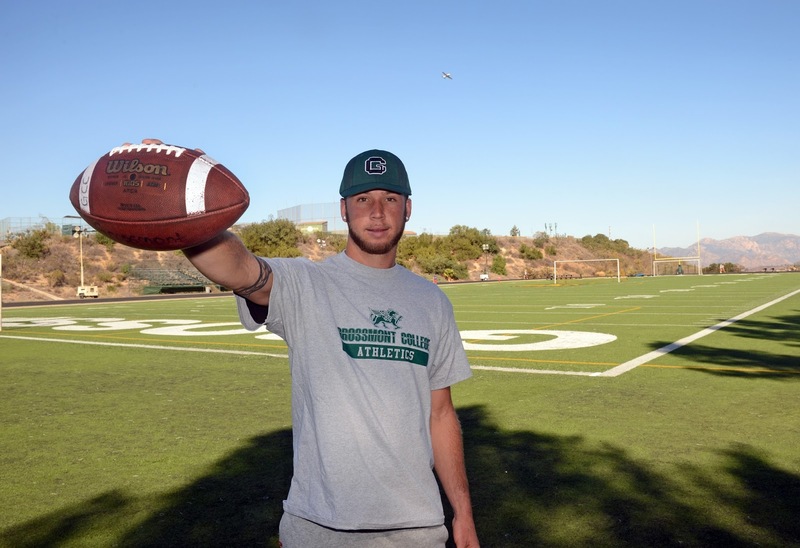 Now the Grossmont College student and football player has his sights set on a football scholarship to a major Division I program and a possible future as an NFL wide receiver. "He's here for school every day, he hasn't been late to practice, and he's taken a leadership role on the team," head football coach Mike Jordan said. "He's just a wonderful stand-up young man." As a senior at Castle Park High School in Chula Vista, Tolbert was recruited by several universities, but his grades were not good enough to enroll. He decided to enroll at Grossmont College, bring his grades up to par, and work on his football skills. Tolber is developing into a star. At 6 feet, 5 inches tall and about 210 pounds, he has produced a collection of highlights as a leading receiver on the Griffin squad. After hauling in six receptions for 140 yards and three touchdowns against College of the Canyons in Santa Clarita north of Los Angeles, he was named the Pacific Coast Athletic Conference's Oct. 3 Athlete of the Week. Three weeks later, he again surpassed 100 yards receiving and caught another three touchdown passes in a shootout loss to Saddleback College. He's drawn the attention of recruiters at the University of Utah and Brigham Young University. He credits Grossmont College for helping him turn his life around. "I feel comfortable at Grossmont," said Tolbert, who has worn No. 13 on his jersey since his days at Castle Park. "The environment is welcoming and there are a lot of resources to help you out. And the football program's priority is on developing the players as people first." 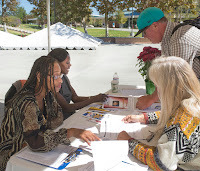 With an eye toward hiring 300 part-time instructors at both of its colleges for the upcoming spring semester, the Grossmont-Cuyamaca Community College District is holding its first Adjunct Recruiting Event from 9 a.m.-noon Saturday, Nov. 19, at the Grossmont College Main Quad. Fortified by additional state funding to promote student success, the college district will be offering 12 percent more classes in spring 2017 than the previous spring semester. Grossmont and Cuyamaca colleges are holding the event to reach a diverse pool of applicants as instructors for the general education and career technical classes. Ask Mary Eden why she has spent the past quarter century working at community colleges, and she’ll answer without hesitation. “There’s nothing better than helping somebody succeed in getting an education,” she said. Eden, who is Cuyamaca College’s acting counseling services supervisor, launched her community college career as a staffer in the Assessments Office at Scott Community College near Davenport, Iowa, upon earning an associate degree from the school. After seven years in a variety of posts that included working as an administrative assistant to the college registrar, she and her then-boyfriend – whom she would later marry – decided to leave the brutal winters behind, take a leap of faith, and move to San Diego. Eden quickly found work at the San Diego State University Admissions Office. 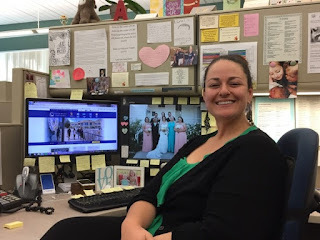 Less than a year later, she was hired as student services assistant at the Grossmont College Counseling Office, where for the next 15 years she did everything from scheduling appointments to helping out with outreach activities. 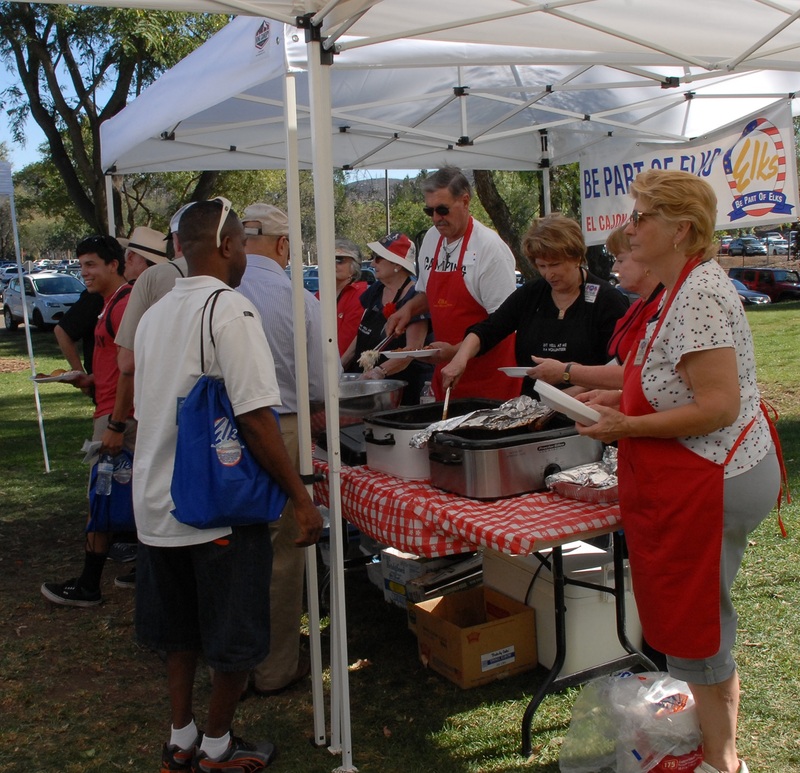 From participating in a parade along Harbor Drive in San Diego to a barbecue courtesy of the El Cajon Elks Lodge, both Grossmont and Cuyamaca colleges plan a number of activities in commemoration of Veterans Week Nov. 7-10. With about 1,500 veterans enrolled for the current semester at East County’s only public institutions of higher education, both current and past members of the armed forces are a significant and valued presence within the college communities. Both colleges have Veteran Affairs or Veteran Services offices serving as a liaison between college and the U.S. Department of Veteran Affairs for, among other things, certification for VA educational benefits. Resource centers are also in place, providing a central entry point for veterans as they transition from the military into the college communities. The centers offer a collaborative delivery of student services such as those tailored for students with disabilities and those needing counseling or access to assistive technologies. The colleges also have a longstanding practice of giving military personnel and veterans top priority in registering for classes. Nicole Jones once thought about becoming an attorney. For the thousands of students she has impacted at Cuyamaca College over the past years, it’s a good thing she changed her mind. Hired as a full-time counselor in 2008, Jones since last fall has been serving as the Interim Dean of Counseling Services at the Rancho San Diego campus, a position responsible for overseeing not only the Counseling Department, but also high school and community relations, the Student Success & Support Program (SSSP), Assessment, Veterans, the First Year Experience, Transfer, Career, CalWORKS, Disability Support Programs & Services (DSPS), and Extended Opportunity Programs & Services (EOPS). Born in Chicago and raised in San Diego, Jones attended Long Beach State University to earn a degree in criminal justice after graduating from Madison High School in 1990. Before going to law school, she wanted to get some work experience and landed a counseling job at Bayview Community Development Corporation, a faith-based San Diego nonprofit group. She soon realized she had found her calling as a counselor and secured her master’s degree in marriage and family therapy at San Diego State University. Five instructors at Grossmont and Cuyamaca colleges have been selected by their peers as the academic year’s best faculty members. The honorees were lauded at fall convocations for exemplary service to the East County campuses. At Grossmont College, art history professor Marion de Koning received the Distinguished Faculty Award, and Administration of Justice instructor Shaun Donelson was picked for the adjunct award. At Cuyamaca College, English instructor Lauren Halsted and math instructor Terrie Nichols are co-winners of the Outstanding Faculty Member Award, and Arabic instructor Aklas Sheai received the award for adjunct faculty. Arabic instructor Aklas Sheai does her best to make her Cuyamaca College students feel at home from the moment they walk into the classroom. From the welcoming sound of their native language to Sheai’s daily practice of bringing Middle Eastern snacks, the roomful of mostly Iraqi refugees appreciate the effort. Sheai, who immigrated as a Chaldean refugee along with her husband, son and daughter in 2005, graduated from Cuyamaca and became an adjunct instructor in 2008. A repeat winner of the Outstanding Adjunct Faculty Award from 2014, her contributions to the college have been many, not only as a popular instructor, but as a counseling office test proctor, peer adviser and translator, and producer of an annual stage extravaganza showcasing the Middle Eastern culture. The pay was good, but the job was killing them. Now Grossmont College’s award-winning Theatre Arts Department is staging a production of the historical drama These Shining Lives, which recounts the true story of four women who landed a well-paying factory job in the 1920s adorning the hour markings on clocks and watches with glow-in-the-dark radium paint containing dangerously radioactive properties that are unknown by the workers and downplayed by their bosses. Set in Ottawa, Ill., the story is narrated by one of the workers, Catherine Donohue. These Shining Lives, written by Melanie Marnich, details the women’s deadly ordeal in a search for justice that left a legacy of better working conditions for future generations. Performance dates are Dec. 1, 2, 3, 8, 9, and 10 at 7:30 p.m. and Dec. 3 and 10 at 2 p.m.
Tickets, including a season ticket plan, can be purchased by phone, online, or at the box office. For online tickets, visit www.grossmont.edu/theatrebrochure or call (619) 644-7234. The box office is at Grossmont College, Building 22A/Room 200A1 (Back of Parking Lot #1). The box office opens one hour prior to each production. 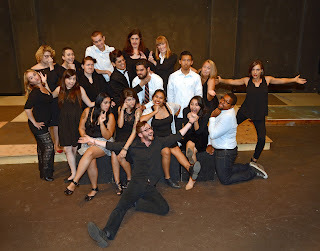 More information about the productions is at www.grossmont.edu/theatrebrochure. Thomas Armstrong with volleyball coach Jamie Ivers and team. As a former student athlete and successful college coach, Thomas Armstrong knows a lot about executing winning game plans. 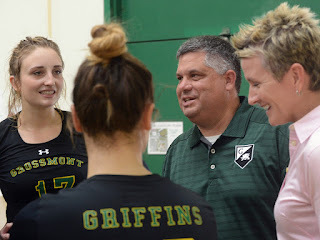 As Grossmont College’s new associate dean of athletics, Armstrong is now diagramming x’s and o’s for a program that has in the past three years twice won honors as the most successful intercollegiate athletic program in the 10-college Pacific Coast Athletic Conference. The San Diego native and Grossmont College alumnus is happy to return to home turf after a succession of jobs in college athletics, most recently as the associate dean of student services and athletics at Barstow Community College in San Bernardino County. “I am a Griffin – I want to retire as a Griffin,” said Armstrong, who received his bachelor’s in kinesiology from Humboldt State University and his master’s in education with an emphasis in physical education and health from Western Oregon University. Local employers from law enforcement, healthcare, manufacturing and more will be sharing information about jobs and careers at a free public event from 10 a.m.-1 p.m. Thursday, Nov. 3, at the Grossmont College Main Quad. 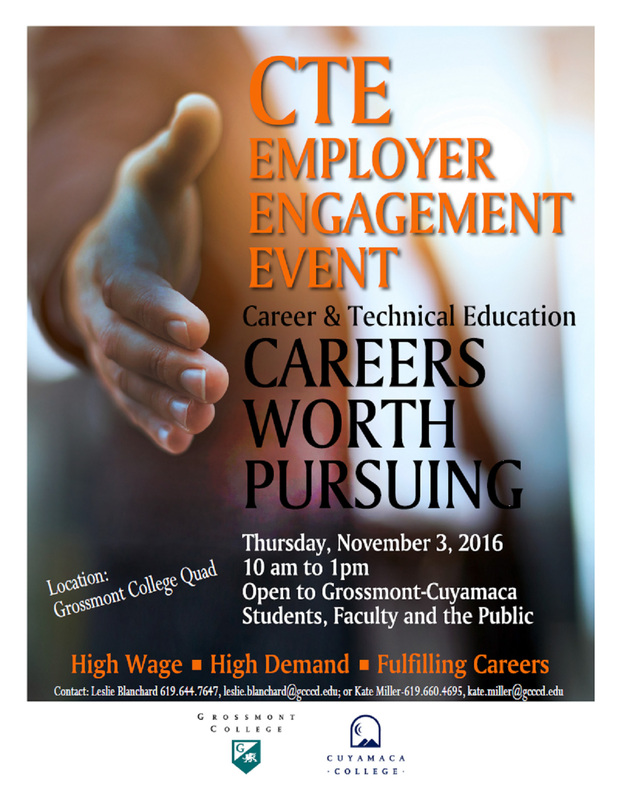 The Career Technical Education divisions at Cuyamaca and Grossmont colleges are hosting a combined CTE Employer Engagement Event open to the on- and off-campus communities, including job-seekers and those interested in exploring new careers. Employers with job openings, internships, or a desire to reach out to students are welcome to participate. Display tables will be set up, where employers can talk to students, faculty, staff and community members about their business or organization. Developing closer ties with local employers will increase awareness of the types of workers and job skills that are in demand, event organizers say. Blanchard recommends participants to dress professionally, bring a resume and to request an informational interview or an opportunity to job shadow. “Also, inquire about the career and educational paths of various employers, ask about opportunities to volunteer or intern, and inquire about the culture of the organization or business,” she said. Local employers expected to attend are: YMCA of San Diego, US Army, Sycuan Casino, San Diego Sheriff’s Department, Adult Home Health Care, Mauzy Heating Air & Solar, Big Brothers Big Sisters, National City Police Department, New Horizons Career Development Solutions, Casa De Manana, Volt Workforce Solutions, Higher Learning Academy, Aerotek, Home Instead Senior Care, San Diego Fire and Rescue. 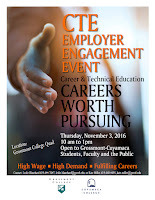 Employers interested in participating should contact Blanchard at (619) 644-7647 or Kate Miller, a CTE specialist at Cuyamaca College at (619) 660-4695. A just-released analysis shows the Grossmont-Cuyamaca Community College District annually generates more than $1 billion in increased economic activity in San Diego County, providing jobs to thousands and touching the lives of many as its impact ripples throughout the region. The comprehensive report, based on data from 2014-15, was conducted by Idaho-based Economic Modeling Specialists Inc. 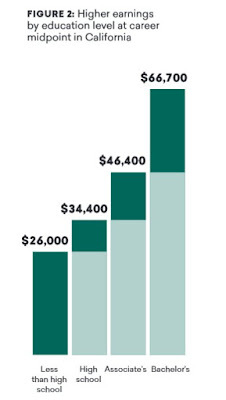 The study analyzed spending by the college district on operations and payroll, the monetary benefits of a college education, and the savings to taxpayers through lower social service costs as the result of well-trained and employed alumni. Thinking back to her senior year in high school when her biggest achievement was ditching 54 days of classes, Cuyamaca College math instructor Terrie Nichols said it was only through the miracle of community college that she is where she is today. 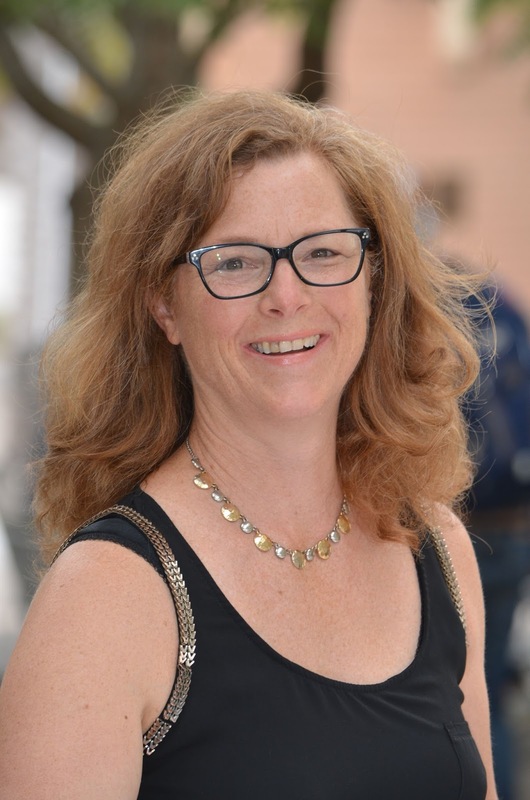 Divorced with two young boys and pregnant with her third, Nichols returned to school in her late 20s, enrolling at Cuyamaca College. With no job skills, she viewed Cuyamaca as an opportunity to improve her lot in life. The move proved transformational. Scott W. Thayer, Cuyamaca College’s vice president of Student Services, has been named one of 15 fellows with the Thomas Lakin Institute for Mentored Leadership (Lakin Institute). The Lakin Institute is presented annually by the Presidents’ Round Table, a national association that helps prepare African-American community college leaders as chancellors, presidents, and chief executive officers. 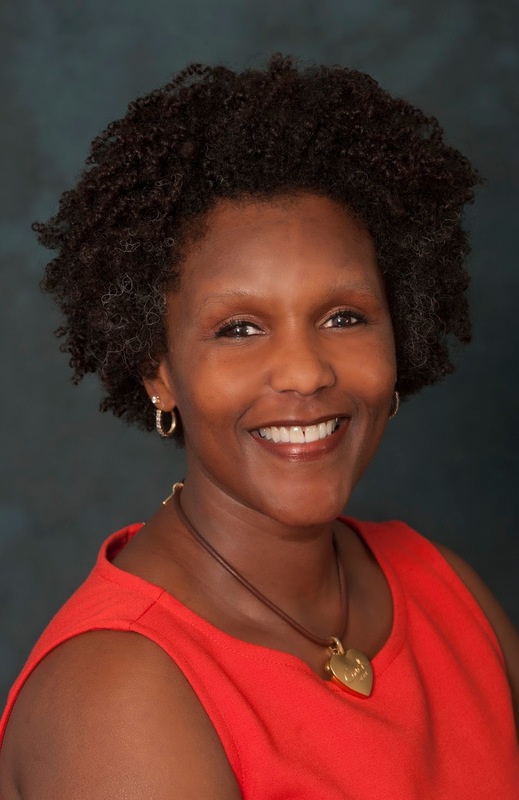 As Cuyamaca College’s vice president of Student Services, Thayer oversees counseling services, admissions & records, financial aid, student affairs, Extended Opportunities Program & Services (EOPS), Disabled Students Programs & Services (DSPS), and athletics. He previously held the position of assistant dean of Student Affairs at Pasadena City College near downtown Los Angeles, where he was responsible for providing comprehensive student involvement and engagement programs for 30,000 commuter students. Under his leadership, Thayer has secured over $2.6 million in additional funding in support of student success. Grossmont College, East County’s largest and oldest college, will host a Fall Preview event from 10 a.m. – 2 p.m., Saturday, Oct. 29, on the Grossmont College campus at 8800 Grossmont College Drive in El Cajon. 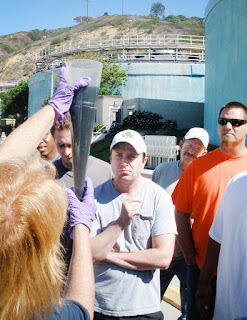 Students tour a water treatment plant. 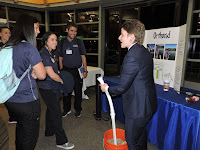 Cuyamaca College has secured a National Science Foundation grant of nearly $900,000 for an innovative new program to improve and expand training of the next generation of water industry professionals needed to operate and maintain California’s complex water supply and delivery systems. Funding for California WaterWorks: Building the People Pipeline comes at a critical time. The Water Research Foundation and the American Water Works Association anticipate that water utilities will lose up to half their workforce over the next decade as older workers opt to retire. A 2014 Water Research Foundation report estimates that nearly one-third of the water industry workforce is eligible to retire. “Serving first-generation college students, serving students who cannot afford to go into a four-year college or university straight out of high school, serving students from underrepresented communities, it gives you a rewarding feeling that you’re helping to make a difference,” said Jessica, whose personal experiences underscore the impact Cuyamaca College is having. The Grossmont-Cuyamaca Community College District Marketing and Communications Office took home one gold and two silver Medallion awards Thursday from a national marketing organization for two-year colleges. A Gold Medallion in the College Promotional Video category for its entry, “The Higher Edge Promise,” highlighting a scholarship program that will provide a free year of college to qualified graduates of the Grossmont Union High School District, starting in 2019. A Silver Medallion for feature writing for its entry, “Iraqi refugee credits Grossmont College for reigniting her hopes for the future,” about 2016 student commencement speaker Sandy Adwer. A Silver Medallion for original photography for its entry, “Soccer Goalie,” posted on the home page for Cuyamaca College. With Election Day just around the corner, here’s an opportunity to get a historical perspective of voting in America. The Cuyamaca College Department of History, Social and Behavioral Sciences will present “Politics: Past and Present Series 2016,” through the month of October to focus on a variety of political discussion topics, including voter suppression, gender, foreign policy, local propositions, and the role of persuasion in politics. 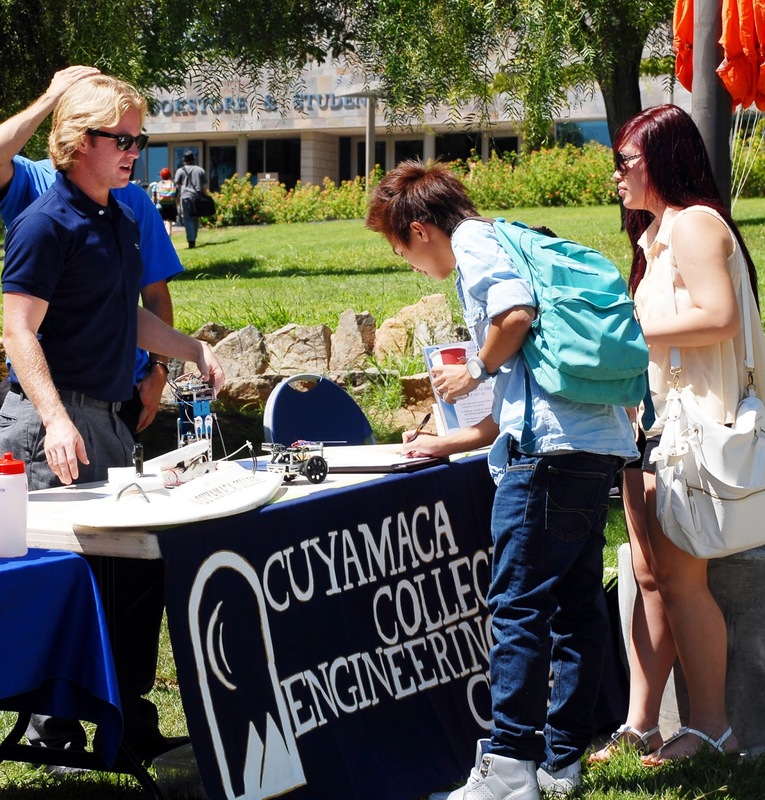 Cuyamaca College has been awarded a five-year, federal grant totaling nearly $6 million to boost the number of science, technology, engineering and mathematics graduates who transfer to the California State University and University of California systems. 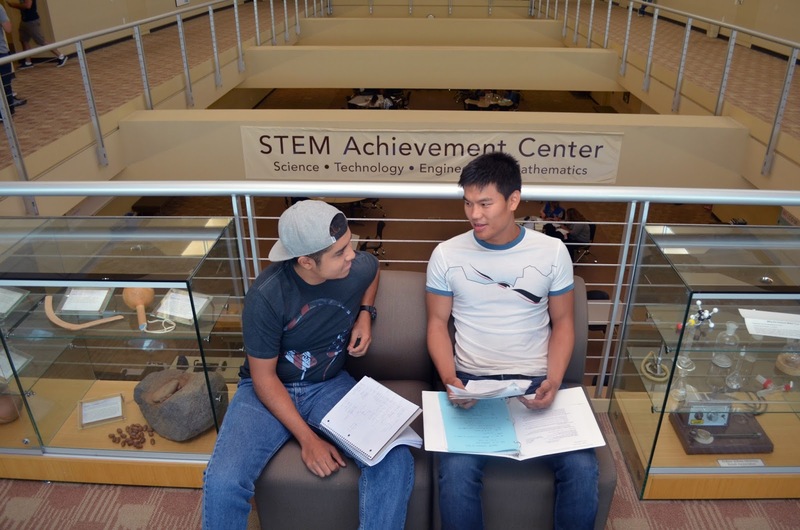 Cuyamaca College will receive nearly $1.2 million annually for the next five years through the U.S. Department of Education’s Hispanic-Serving Institutions STEM and Articulation Program, a program assisting Hispanic Serving Institutions. English instructor Lauren Halsted’s first job out of college was as a freelance writer for Surfing Girl Magazine – fitting for someone who’s been hanging 10 from the time she was a kid growing up in San Juan Capistrano. These days, with her busy teaching schedule at Cuyamaca College and two young children, she’s had to cut back her daily surfing to about once a week. Hired as an adjunct faculty member in 2005, she became full-time in 2008, melding teaching with service on numerous committees. 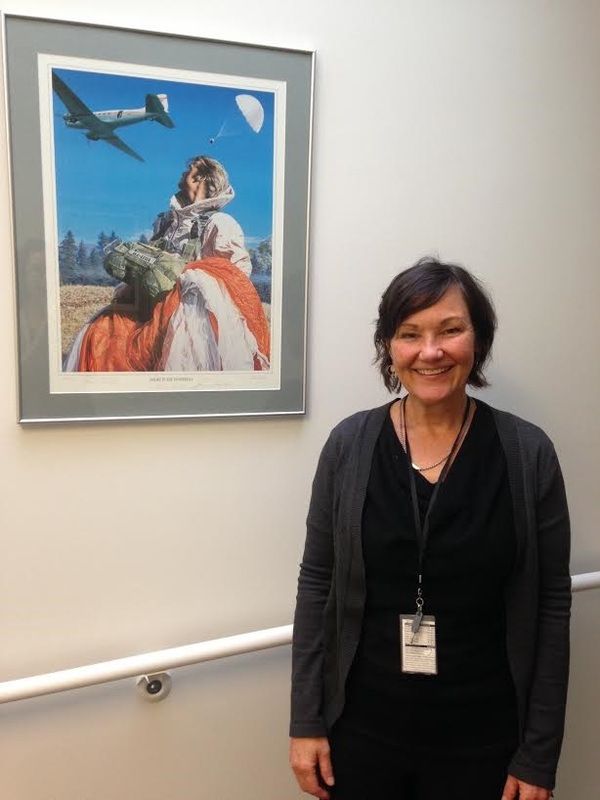 Like fellow instructor Terrie Nichols in the math department, Halsted has been at the forefront of Cuyamaca’s accelerated learning initiatives since 2011. 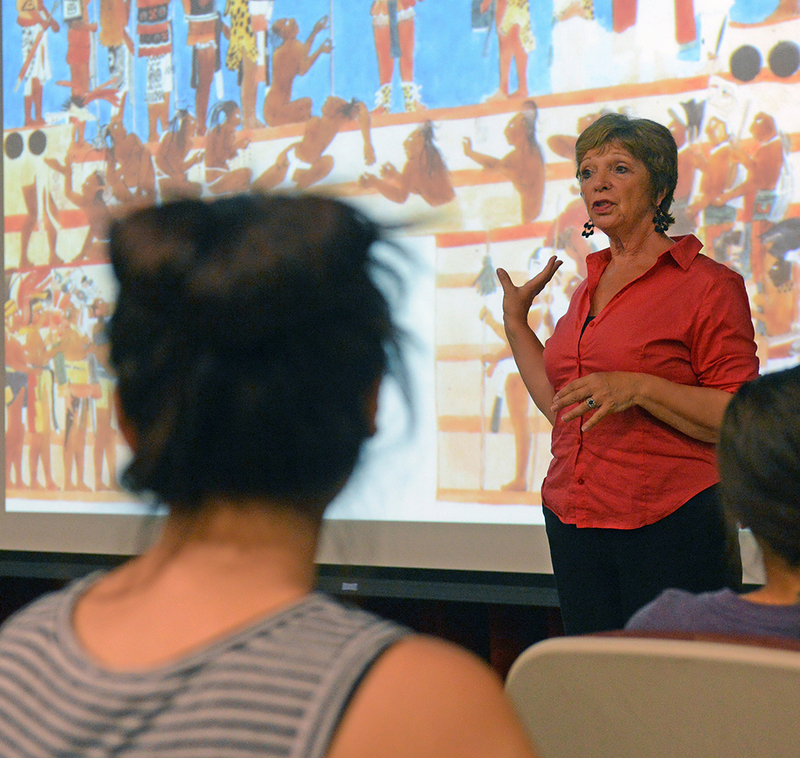 Over the years, she has helped shepherd English acceleration by writing curricula, leading workshops and creating a UC San Diego extension course preparing educators to teach accelerated classes. Halsted also started a mentorship program at the college and served on the English subcommittee of the East County Education Alliance, a partnership between the college and local high school districts. Scholarships totaling more than $81,000 were awarded September 10 to 135 Grossmont and Cuyamaca College students at the fall scholarship banquet held by the Foundation for Grossmont & Cuyamaca Colleges. Every student has a compelling story about the impact that community college has had on their life. Here's one student's story. It’s not every day that a five-time world arm wrestling champion is told to get a life, but that’s what Carolyn Fisher’s son and daughter suggested to her after they grew up and moved out of the house, leaving Carolyn with a classic case of empty-nest syndrome. Carolyn got a life at Grossmont College, where she started taking classes three years ago and found her passion in communications and public speaking. Now a full time student who spends most of her waking hours at the El Cajon campus, the 54-year-old Spring Valley resident works as a tutor in the Communication Department, has a 4.0 grade point average, is on track to graduate with three associate degrees in the spring, is set to transfer to San Diego State University to further her studies, and is eyeing a future as a communications professor – at Grossmont College – after earning her master’s degree. 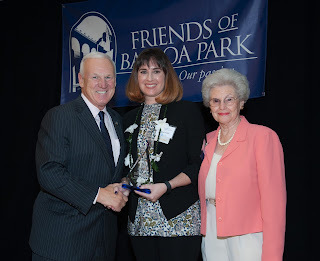 Her dedication led to Carolyn being honored with a $500 Betty D. Krueger Memorial Scholarship and a $500 Osher Scholarship, both of which were presented at a Sept. 10 awards banquet sponsored by the Foundation for Grossmont & Cuyamaca Colleges. With 31 years in law enforcement, including 22 with the San Diego Police Department, Grossmont College Administration of Justice instructor Shaun Donelson engages his students and Police Academy cadets with real-world scenarios that are both thought-provoking and challenging. At a time when police and community relations have been the focus of national scrutiny, Donelson is keenly aware of the importance of the lessons he brings to his students about the proper use of force and respecting others. The Grossmont College English Department's Creative Writing Program is presenting the Fall 2016 Reading Series, Thursday, Sept. 29 – Monday, Dec. 5. 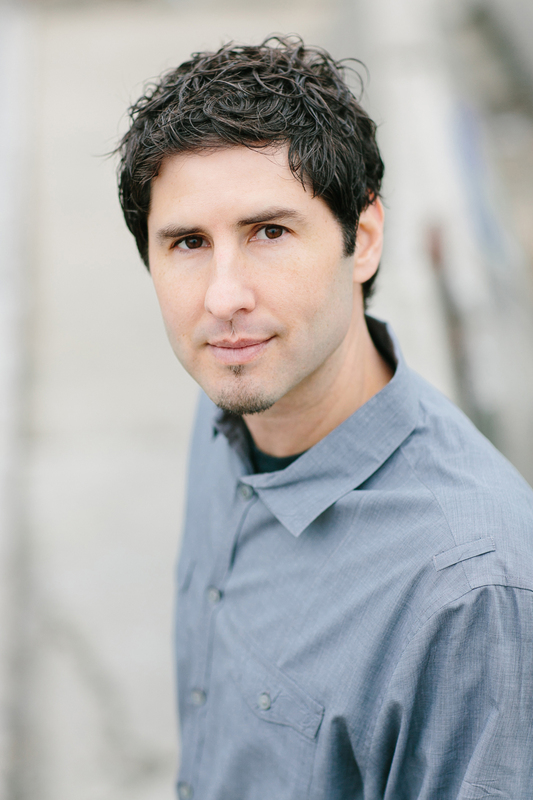 Thursday, September 29 (2-3:15 p.m., Griffin Gate): Banned Books/Banned Lives Reading featuring New York Times bestselling novelist Matt de la Peña, author of six young adult novels, including “Mexican WhiteBoy” and “We Were Here,” and the first Latino to win the Newbery Prize in literature. San Diego native de la Peña’s “Mexican WhiteBoy” was banned from classrooms in Tucson, Arizona in January 2012, when a law targeting Mexican-American studies courses that were perceived as anti-white, was enacted. This event will be hosted by English instructor Alan Traylor. William Shakespeare’s classic comedy The Taming of the Shrew and a bilingual performance of Frederico Garcia Lorca’s once-banned Blood Wedding are among the productions set for the 2016-17 season at Grossmont College’s Stagehouse Theatre. The fall season opens with Garcia Lorca’s Blood Wedding, a story set in Spain and inspired by a sensational crime detailed in a newspaper clipping. The play, which includes both Spanish- and English-speaking actors, unveils how a bride runs from her groom on her wedding day and into the arms of a former lover – the son of the man who killed her father. Essentially left at the altar, the groom vows to set out to find and kill his would-be wife’s lover. The play, considered a classic of 20th century drama, was banned during former Spanish dictator’s Francisco Franco’s reign. Directed by Rob Lutfy, performance dates are Oct. 6, 7, 8, 13, 14, and 15 at 7:30 p.m. and Oct. 8 and 15 at 2 p.m.